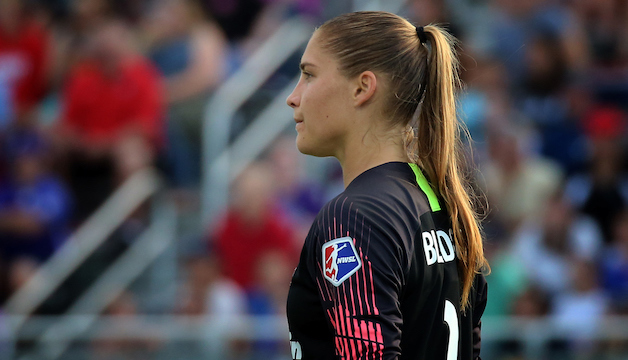 Boyds, MD (2/1/19) – Washington Spirit goalkeeper Aubrey Bledsoe has helped the Sydney FC women clinch their 11th consecutive Finals Series appearance. Sydney FC is now the only team in the W-League to have never missed the Finals Series in their entire history. Bledsoe’s reputation as a shot-stopper was only heightened by her stint in the W-League this season, as she finished third in total saves with 45. In addition, Bledsoe started and played a full 90 minutes in 11-of-12 of Sydney’s regular season games, accumulating 990 minutes of playing time, and keeping two clean sheets. Despite a 2-0 loss to reigning champions Melbourne City on Thursday, Sydney secured their place at third on the ladder on goal difference, with 19 points and a goal difference of +9, finishing just above the fourth place Perth Glory (+8) and fifth place Melbourne City (+5). Sydney FC will take on the Brisbane Roar FC away at the Suncorp Stadium in their first match of the Finals Series. The match is set for Sunday, February 10 at 3:15 a.m. ET.